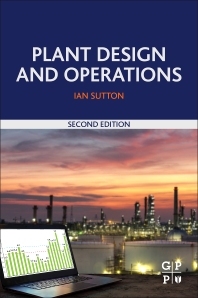 Plant Design and Operations, Second Edition, explores design and operational considerations for oil and gas facilities, covering all stages of the plant cycle, with an emphasis on safety and risk. The oil and gas industry is constantly looking for cost optimization strategies, requiring plant-based personnel to expand their knowledge base outside their discipline or subject. Relevant reference materials are scattered throughout various official standards, while staff lack the immediate hands-on knowledge to safely facilitate the full operational life cycle of the plant. This second edition is a complete source of solutions for major process projects including offshore facilities, chemical plants, oil refineries, and pipelines. This single reference provides insight for safer operations and maintenance best practices. It has been updated with more focus on safety in design and operations, standards, and compliance, and more detailed information on equipment and system/component design.